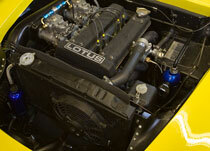 Unlike many garages, one of Paul Matty Sportscars’ main activities centres around the workshop. 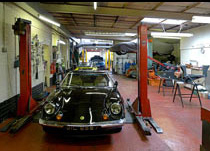 Customers travel from far and wide to have their car attended to, be it either for restoration, chassis replacement, bodywork, gearboxes, engines and, of course, full restoration. Our Service and Workshop management team run a smooth ship and we have built an enviable reputation for reliable, quality work at competitive prices. We also have many worldwide customers for whom we regularly carry out major restoration work and our reputation for quality work and trustworthiness makes our foreign customers feel secure when dealing with us. We offer a drop-off and pick-up service to local stations. 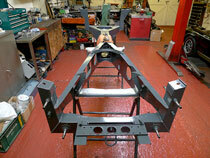 If you have a workshop related enquiry, please contact us via telephone, email or our website enquiry form.